Recently one of HubSpot's very best partners decided to redo their well-regarded pricing page, saying "That model of 'here's everything for $X' is broken, and has been either un-qualifying us when we should be qualified or setting us up for failure." Their experience points to how hard it is for agencies to get pricing right, yet this may be the single most important thing to get right in order to grow your agency in a sustainable manner. If you price too low you may not make enough margin to support your business' growth. If you price too low you're less likely to go the extra mile that is always required because no project is ever perfectly scoped. If you price too high you may be replaced in the future by a lower cost competitor because the client can't tie your price to the value you deliver. The last point hints at the underlying reason why most agencies get pricing wrong: they price based on their costs rather than value delivered. Pricing by cost means that you determine how much a job will cost you and add a markup. However, this means that your client pays for your efficiency (or lack thereof). As an example, if it takes you three hours to produce a blog post, even though another agency can do it in two hours, your client has to pay for the inefficiency built into your price. Furthermore, your client doesn't actually care how long it takes you to do any particular task. They care far more about what value you drive to their bottom line, especially when most retainers are $25K-$100K/year. As Blair Enns, author of Win Without Pitching, is fond of saying: "Bury the billable hour." Every client would rather talk about value delivered than hours provided. The LTV of customers is crucial to understand because it ensures that marketing spends a commensurate amount to acquire that customer. For example, a customer that makes many repeat purchases may be worth spending a lot on -- even taking a loss on the first few purchases -- if you know that on average they make many more purchases. Knowing this metric helps the agency determine how much value, in the form of revenue, the agency will provide. The current marketing COCA is an indication of what is acceptable to your client for acquisition cost. Knowing this metric can help the agency determine how much value, in the form of cost savings, the agency will provide. Pricing by value inherently means tying your efforts to some marketing outcome, typically a traffic, leads or customer number in the client's funnel. However, an agency cannot, and should not, promise bottom-of-the-funnel numbers like customers -- because the agency doesn't know the client's sales capabilities and historical close rates. Hence, at least early in the engagement, the agency should commit to the top-of-the-funnel (TOFU) numbers -- traffic and, later on, leads -- until the sales capability and close rates are well understood. For some agencies, committing even to the TOFU metrics can be daunting, as there are few guarantees in marketing. However, any agency that has this level of transparency in their efforts and pricing will help build a high degree of trust between the agency and the client, and ultimately trust is what will keep the two partners together for a long-term relationship. All this talk of pricing by value and burying the billable hour does not obviate the need to track your hours and costs meticulously. Indeed, you need to understand three elements in ensuring sufficient margins: hours of effort involved, overheads atop the salaries you pay, and utilization rate of your employees. The first two are relatively clear, but the last one is particularly sneaky yet vital. In any services firm, you typically cannot get better than 75%-80% utilization of an hourly worker. -- i.e. in an eight hour day, most employees will not do better than six hours of client-facing work. However, you as the employer still pay the employee for the full eight hour day. So the effective cost that you have on an hourly basis must be adjusted to reflect this utilization. A further complication to utilization is that not all your employees are client facing, yet you must cover the cost of non-client facing employees. Let's say your typical employee costs $52/hr ($80K salary + 30% overhead costs). A 75% utilization rate means the effective cost of this employee is $52/hr / 0.75 = $69/hr. -- i.e. this employee needs to bring in $69 per billable hour to cover their costs (and then bring in more to actually have a profit). Let's assume there is one admin for every ten client-facing employees in the agency. So we amortize this admin's cost, say $50k/yr, over all client-facing employees, adding $5K of cost to each employee or $54.5/hr cost. Adjusting for utilization again gives an effective cost of $72.6/hr. Should I publish my pricing? This all gets to the heart of another popular question agencies have: "Should I publish my pricing?" Publishing cookie-cutter pricing does a disservice to clients and to you. Fundamentally, the marketing spend a company has is tied to growth the company expects (often marketing spend is a % of revenue this year for a growth rate next year). How can you publish a standard price if you don't know how fast a particular customer wants to grow next year? However, most buyers today expect pricing information given the vast information available on the internet from other agencies. So offering a range of pricing options with some guidelines on the types of activities will set expectations on both sides while ensuring that you offer the right level of service for what your client needs to support their growth. If you're having trouble calculating all these elements -- LTV, marketing COCA, net margins, fully loaded costs -- to establish value-based pricing, you don't have to do it on your own. 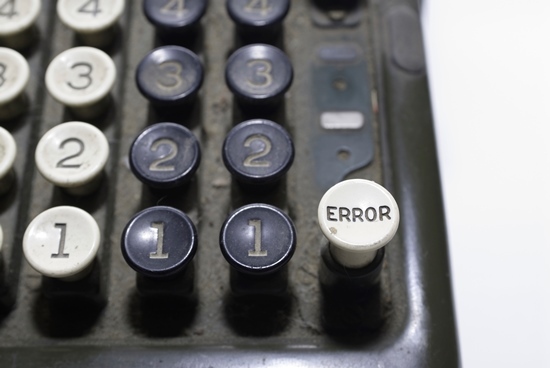 Get in touch and we'll walk you through it with HubSpot's pricing calculator. Hopefully this has all helped you determine the right pricing strategy for your agency. As detailed above, this means understanding your costs, and positioning your public-facing pricing around the value you can reliably deliver to your clients.